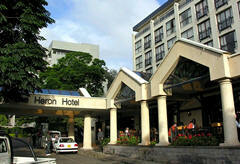 The Hilton hotel is located in the heart of Nairobi Central Business District along Mama Ngina and Kimathi streets. Jomo Kenyatta International Airport is a mere 20 km away. 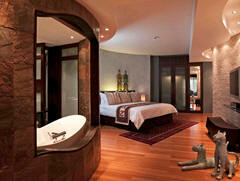 The hotel provides a total of 302 sound proof luxury rooms including executive and presidential suites. Considered by many to be Nairobi’s finest hotel, the Serena stands amidst lush tropical gardens with panoramic views over Nairobi’s Central Park and the glittering downtown skyline. Despite its pivotal central location, the Serena also remains true to its title and offers an oasis of serenity amidst the bustle of one of Africa’s most vibrant capital cities. this is a 5 star hotel set amidst lush tropical manicured gardens with all of it's elegant 130 spacious hardwood floored rooms overlook the spectacular championship 18-hole golf course. 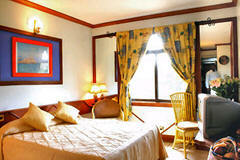 All rooms are tastefully decorated in pastel colors with large en-suite bathrooms, showers and other luxury amenities. Each room features a private safe and power points for the recharging of electronic devices such as laptops; coffee and tea-making facilities; fully stocked mini bar; 29” colour TV with local and international channels; music channels; and shoe shine and laundry services. High speed wireless Internet access provide each room with global connectivity. 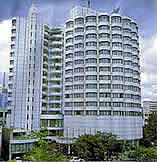 A 3 star hotel, popular with international tour companies. Located on a hill in a suburb of Nairobi about a kilometer from the city centre and 18 kms from Jomo Kenyatta International Airport. 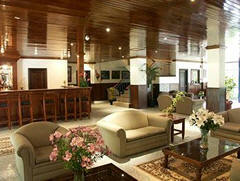 The hotel has 146 rooms all with satellite television, air-con, in room safe, hairdryer, telephone and mini bar. Room are en-suite and carpeted with wooden furniture - there is a writing desk and chair in every room. The restaurant serves a high standard of International cuisine and has large windows offering lots of natural light. There is also a Terrace bar that provides drinks and light snacks. This hotel has a business centre, health club and gymasium. There is also a small pool with a pool-side bar. No other hotel in Kenya captures as much of Nairobi's splendid past and exciting present, and few hotels anywhere can claim a more romantic history. Adventurous visitors such as 26th American President Theodore Roosevelt, Lord Baden-Powell, the Earl of Warwick, Lord and Lady Cranworth, and the Baron and Baroness von Blixen have all been part of the Hotel’s history. Since 1902, The Stanley Hotel in Nairobi has hosted some of the world's most acclaimed film stars and writers, as well as world leaders on royal and state visits to Kenya . Recently re-furbished to enhance its old charm and historic features, the Sarova Stanley remains a well-known landmark in the centre of Nairobi with the Thorn Tree Café and the famous message tree. Although originally built in 1945, Holiday Inn still retains its charm and elegance, having undergone extensive refurbishment to provide with all the modern touches. Situated in a popular shopping and residential suburb close to the city centre, all 171 guest rooms offers a full range of services and facilities including colour TV, radio, telephone, tea/coffee making facilities and private bathroom. This is an International standard hotel with Kenyan hospitality right in he heart of Nairobi. The Six Eighty (680) Hotel offers you quality budget accommodation in the World Safari Capital, Nairobi, the capital city of Kenya. The Hotel offers 340 standard and Deluxe rooms with satellite TV, digital safes and direct dial telephone system. The 10th floor is reserved for our non – smoking guest. There are 3 type of rooms (standard, deluxe and suite) each with private bathroom, telephone, television, room service and one day dry cleaning service, ideal to suit business and leisure travelers. The hotel is close to a wide variety of amenities including shopping malls, Nairobi National Park, hospitals and The Kenyatta International Conference & Exhibition Centre. 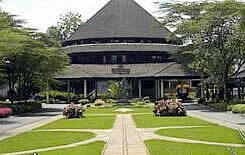 The hotel is 4 minutes drive from Nairobi city centre, beautifully located in a quite soundings with tropical gardens. Guests in the first class rooms enjoy complimentary access to the lounge. The lounge at the Fairview hotel Nairobi is located above the breakfast area and is open between 6:30 am and 11:00 p.m. In the Lounge one can enjoy complimentary access to 2 PCs, a range of papers and magazines, coffee and tea all day long and various other benefits. 90% the rooms enjoy Wi-Fi access, another fairly recent addition to The Fairview hotel Nairobi is the beautiful swimming pool. Situated near the gym, the pool is for residents only and is open from 7.00 am to 6.30pm daily. The Bridge to Fitness at the Fairview has a wonderful view of the pool area and contains the latest equipment by Life Fitness, two treadmills, a recumbent exercise bike, a cross trainer, a rowing machine, basic weights, leg press calf extension, a Multi-Gym and a few other of the basics. The gym is only open to hotel and Apartment residents. 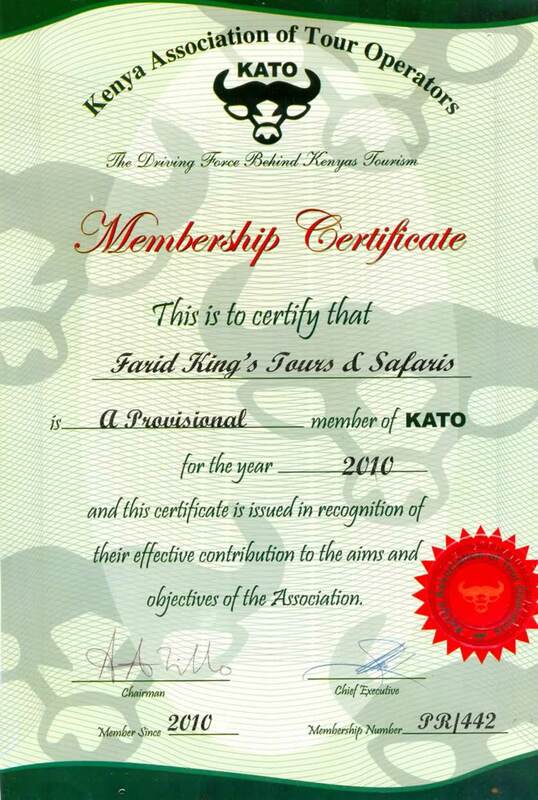 T ravellers from all over the world now make The Giraffe Manor part of their East African Safari. Some spend a week here and The Giraffe Manor has many repeat guests, who have become old friends. Personally hosted, The Giraffe Manor is an elegant and exclusive small hotel with a rich blend of welcoming accommodation, highly trained staff and one of Nairobi’s finest kitchens. Nairobi Hotel Intercontinental hotel has all the usual leisure facilities including gymnasium, sauna, jacuzzi, Turkish bath and massage service. It also offers the outdoor pursuits of tennis, cycling and golf. However, guests who are a little more adventurous can enjoy a more exotic pastime and embark on a safari into Nairobi’s National Park. Sentrim Boulevard Hotel is located within four and a half acres of lush gardens, bounded by the Nairobi R iver at the back and the green precincts of the National Museum of Kenya in the front. Sentrim Boulevard hotel comprises of 70 well appointed en suite guestrooms, 40 of the rooms are in the Garden wing and 30 in the Pool wing. All rooms have a private balcony, telephone, security safe, radio and satellite TV and internet connectivity. The rooms are served by a 24 hour room service menu. The Hotel has a main restaurant serving high quality international and local cuisine, 2 snack bars, 3 well stocked bars for your beverage needs and the residents' lounge provides a warm and cozy atmosphere with a fire place and comfortable seating. House of Waine in Nairobi offers a ccommodation in 11 bedrooms that are all individually styled and then named to reflect their different themes ensuring that no two are the same. 9 bedrooms can be single, double or twin rooms. Each bedroom features a large marble bathroom with plenty of natural light. Most bathrooms have a separate shower and bath (with the exception of 2 which feature only a bath) and all have a complete range of toiletries, hairdryers and bathroom telephone. tea and coffee making facilities with fresh milk and freshly ground coffee delivered daily. Sankara hotel is anew 5 star hotel in Nairobi with 156 rooms of which 65 are Deluxe, 7 Junior Suites and 2 executive suites. 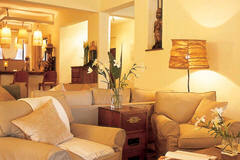 Rooms are luxuriously fitted out and have 5 star levels of facilities and comfort. Facilities at the Sankara Hotel in Nairobi include rooftop pool and world-class spa creates an ideal setting for guests to relax while enjoying a tempting choice of dining areas and meeting spaces. 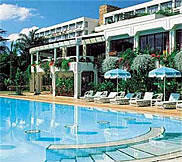 Silver Springs Hotel a deluxe 3 star hotel offering exceptional facilities and services in Nairobi. This luxurious hotel is surrounded by tranquility and serenity. The Hotel ambience is marked with evergreen trees, beautiful flowers and medicinal plants. 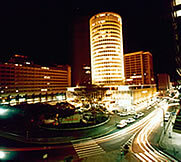 Laico Regency Hotel is set in the heart of Nairobi, nestled between Loita Street and Uhuru highway, City centre. 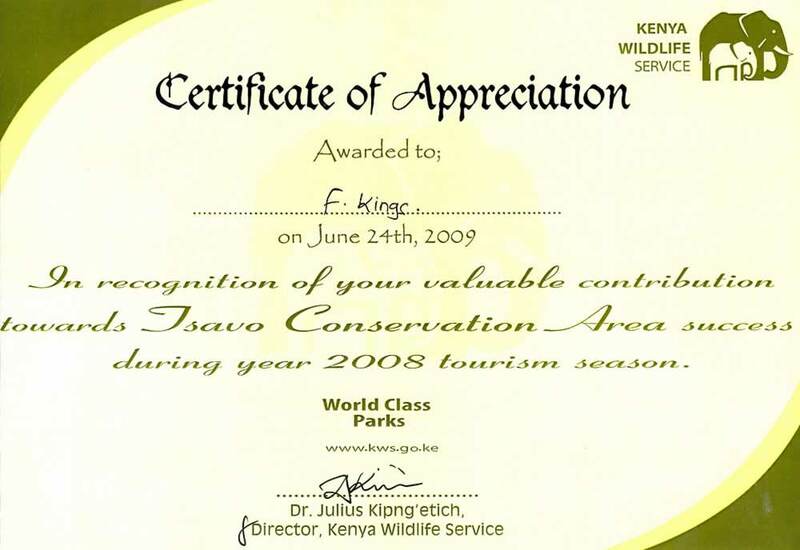 It is 15 km from Nairobi Jomo Kenyatta International Airport. 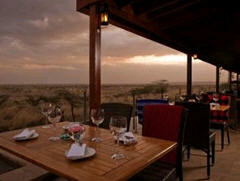 Overlooking the Nairobi National Park, Ole-Sereni features a rooftop heated pool and a game-watching snack bar. It offers and a restaurant serving Mongolian cuisine and Sunday brunches with live music. Ole-Sereni Hotel is decorated with the typical style of a safari lodge, including bright colours, wooden details and artwork in raw materials. Its modern facilities include a state-of-the-art gym, a massage centre and a sauna. 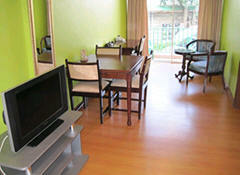 The contemporary rooms come with wall-mounted flat-screen TVs, free Wi-Fi and a small coffee table. In the bathrooms, black marble combines with large shower boxes, and bathrobes and slippers are provided. Tribe Hotel takes hospitality back to its essence. Back to the nomadic days when any weary traveller was greeted with warmth, invited to feast and exchange stories, and rest in the comforts of home... a very comfortable home. Tribe hotel in Nairobi offers accommodation in 142 rooms split into 20 standard, 100 deluxe, 4 superior, 5 junior suites, 5 business suite 'lofts', 1 ambassadorial suite, 1 presidential suite, 1 penthouse, 4 single & 1 double apartments. 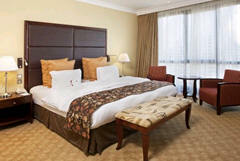 Crowne Plaza Hotel Nairobi offers accommodation in 162 Guest Rooms. The rooms are comprised of 97 twin rooms and 50 double bedrooms. All rooms are non smoking. In total there are 13 executive suites located on an executive floor. There are two room with accessibility standards. The rooms are modern, all with comfortable beds and en-suite bathrooms. The plush interiors all have high speed internet, satellite TV and a work desk. Movies can be ordered and there is a digital safe, air conditioning and mini bar. Tucked away in a serene natural resort of Kenya’s capital city, The Ndemi Place is the ideal stop over for guests seeking peace and vintage charm in the city of Nairobi. 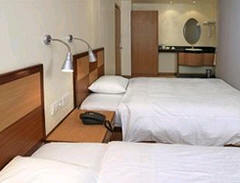 All rooms at Ndemi Place are spacious and furnished with single, twin or double beds (king & queen size). Guests have a choice of shower or bathtub in their private bathrooms. 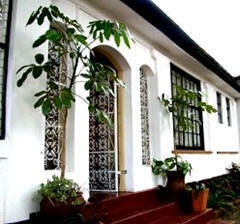 For long stay visitors the Ndemi House offers 2 detached & self contained rooms with kitchenette. 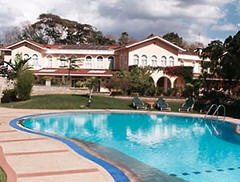 Progressive Park Hotel is located opposite Ukay Centre, along Mwanzi Road in Westlands Nairobi. Progressive Park hotel offers accommodation in 25 fully furnished and spacious suites with a spectacular view of the bustling Westlands area. Each apartment at he Progressive Park Hotel - Nairobi is equipped with a TV station as well as dining, study and lounge areas that afford a timeless, classic feel. The family oriented kitchen includes a fridge, hot plate, microwave, kettle and a large collection of china-ware, cutlery, glassware, pots, and pans. The Heron Hotel (Formerly Heron Court Hotel) is situated on Milimani Road Nairobi and is about 20 km from the Jomo Kenyatta International Airport.The Hotel has just been recently refurbished. Heron Court Hotel Nairobi is a 3-star facility featuring amenities and facilities common to many 4-star establishments world-wide. Heron Hotel's location just outside Nairobi makes easily accessible to the town centre and tourist attractions, and yet removed from the bustle of the city. The hotel is a family operated hotel which translates to personalised attention, friendly service, & great value! Jupiter Guest Resort is a comfortable and tranquil hotel located in Nairobi and a 20 minute drive from Jomo Kenyatta International Airport. The hotel is a walking distance from the National Museum of Kenya, and it is located within the confines of Westlands, the shopping, entertainment and restaurant capital of Kenya. 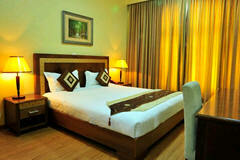 The hotel has an array of tastefully furnished and comfortable rooms. All rooms are ensuite and have Digital Satellite television (DSTV), free WIFI internet connectivity, and security door locks. We also offer a laundry service to our guests. Nomad Palace Hotel is situated in Nairobi Eastleigh town, ten minutes drive from Nairobi's central business district and twenty minutes from Jomo Kenyatta International Airport. 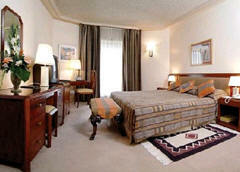 Nomad Palace Hotel Eastleigh offers ninety five spacious and stylishly furnished rooms. All rooms have high speed internet connectivity, electronic safe deposit box and 24 hour TV channels. The restaurant on the first floor serves both rich local dishes as well as continental cuisine.